Yes you are all of you!! hahahahahaha yes i agree. Keep it up. 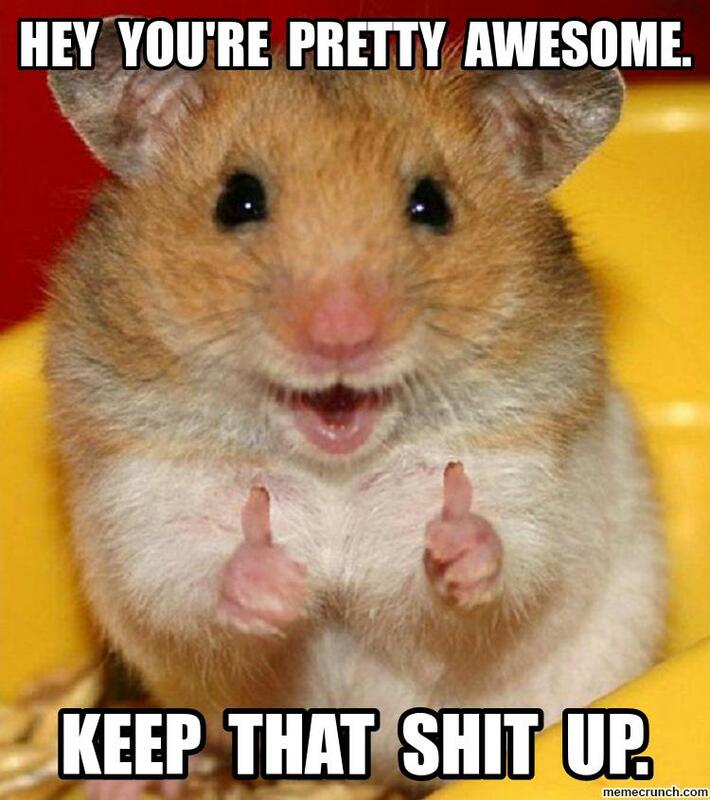 This hamster totally gets me. Do you often stare at the sun and then wonder why? I’ll take that as a maybe. For how long am I staring at the sun? I mean, when you pass out is probably a good indication to stop. What’s with your obsession with staring at the sun? I really don’t have one but I’m slowly starting to form one so there’s that. Highlight of 2015. The only one, I just know it. I’ll get started on our BFF outfit. I don’t think you’re as thrilled. I lied. I won’t be making one. Probably just pick up some Marvel costumes. Changed my mind. You’re going to be Green Arrow. I’ve been watching nothing but Arrow. Amazing. I think I’m boring you now. Friendship back off? Also, longest comment thread EVAR!